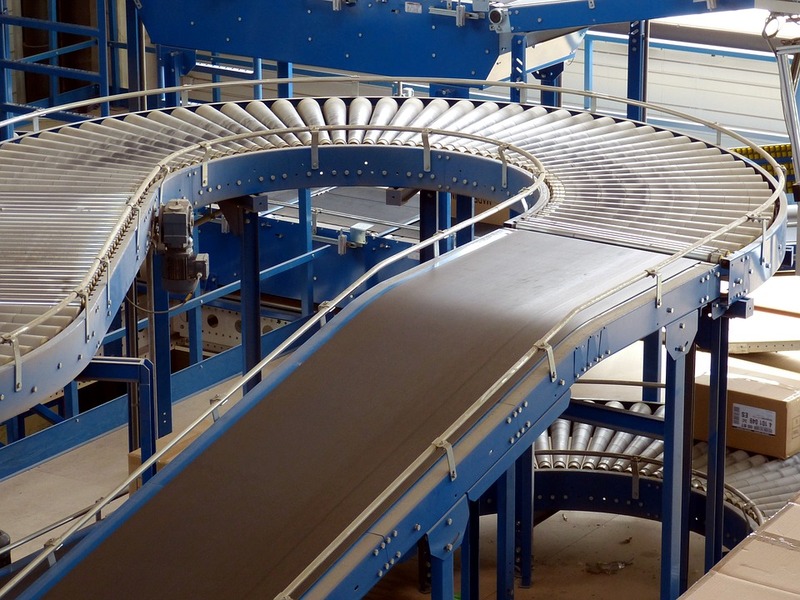 Top conveyor manufacturing companies in the U.S. Recent data collected by IndustryNet shows conveyor manufacturing companies in the U.S. continue to report strong growth, with sales up a third of a percent over the year, and employment up a robust 3.4%. 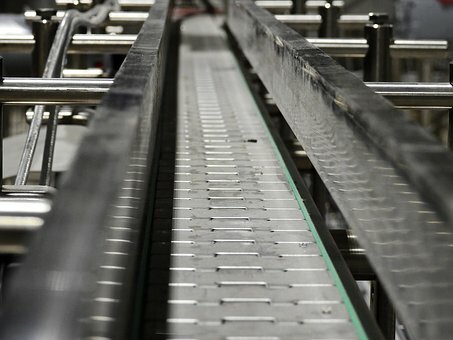 As U.S. manufacturing expands, conveyor manufacturers have become more and more essential to the industry because of the important role conveyor systems play in making production cycles more efficient. 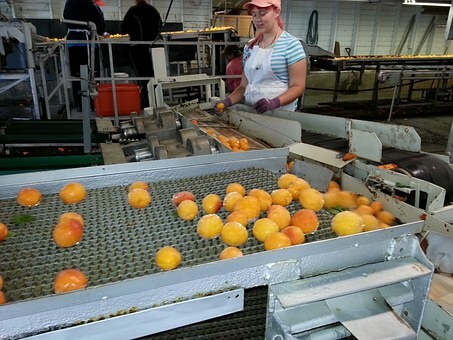 There is also a very healthy outlook as experts watching the industry note a "rise in demand for automation and increase in number of industries will spur the demand of conveyor systems." Today, we’ll take a look at the top companies in the conveyor industry, measured by number of employees, square footage, and employment growth. Intelligrated Inc.; Cincinnati, Ohio; Number of employees: 500; Renamed as Honeywell Intelligrated, the company is known as a "leading single-source provider of intelligent automated material handling solutions that drive fulfillment productivity for retailers, manufacturers and logistics providers around the world." Superior Industries Inc.; Morris, Minnesota; Number of employees: 450; The opportunities at Superior have helped to sustain the small, rural community in Morris, Minnesota. Founder Neil Schmidgall, who believes hard work leads to accomplishment and satisfaction, says, "Our employees are constantly encouraged to practice high integrity and they are reaping the benefits of maintaining long-term relationships." Intelligrated Inc.; Mason, Ohio; Number of employees: 350; Now known as Honeywell Intelligrated, the company has a "broad portfolio of automation equipment, software, service and support." BEUMER Corporation; Somerset, New Jersey; Number of employees: 300; Founded in 1935 in Beckum, Germany, the company began by making conveyor equipment for cement, lime and mining companies. Today it serves customers all over the world at factories across the globe. Webster Industries Inc.; Tiffin, Ohio; Number of employees: 255; In business since 1879, the company says their long history means "we've already solved something similar to a customer's specific conveying challenge, and we can rely on that experience to provide the right solution for that customer's application." Roach Conveyors; Trumann, Arkansas; Number of employees: 252; Roach Conveyors states the company will do "whatever it takes" and guarantees shipping within 24 hours for more than 100 models in more than 39,000 sizes. Habasit America Inc.; Suwanee, Georgia; Number of employees: 250; Always working to improve the customer experience, a newly rebuilt Customer Connect e-commerce portal grants real-time access to account information 24 hours a day. It provides better tracking, real-time data and updated inventory. Dorner Mfg. Corp.; Hartland, Wisconsin; Number of employees: 225; Founded in 1966, the company's product line has "evolved from a single, low-profile metalworking conveyor to a robust line of industrial, sanitary and automation precision conveyors." Komatsu America Corp.; Winfield, Alabama; Number of employees: 210; The unique company name comes from the city Komatsu, located in the Ishikawa Prefecture of the Hokuriku region in Japan. "Komatsu" translates into English as "little pine tree." In 1920, the first logo for the company also symbolized the small pine tree. FMH Conveyors LLC; Jonesboro, Arkansas; Number of employees: 200; FMH notes "the most important thing we build is relationships." It seeks to create long-term relationships that "drive value for our customers and profitable growth for our shareholders." Intelligrated Systems Kentucky Inc.; Danville, Kentucky; Square footage: 1,500,000; As part of Honeywell Intelligrated, the company's conveyor solutions "help retailers, manufacturers and logistics providers build efficient, high-performance automated distribution and fulfillment operations." Dematic Corp.; Lisle, Illinois; Square footage: 1,000,000; In an interview with Fortune magazine, CEO Ulf Henriksson says there is a "tyranny of now" where consumers want things quickly. "Not only does delivery have to be fast, it also must be predictable when we want it at a specific time." To support this, Dematic designs and implements solutions for companies to prepare and optimize their distribution channels. ERIKS North America; Pittsburgh, Pennsylvania; Square footage: 866,121; The company offers a number of conveyor belt solutions and responds 24 hours a day, seven days a week for installation, troubleshooting and preventive maintenance. Roach Conveyors; Trumann, Arkansas; Square footage: 650,000; In 1953, the company began with simple bale-handling. It now offers a broad product lineup with package, pallet and floor conveyors. Superior Industries Inc.; Morris, Minnesota; Square footage: 500,000; Founder Neil Schmidgall was inducted into the Pit & Quarry Hall of Fame in 2015. At his induction, Schmidgall said he "never dreamed his company would get big." What began in 1972 as a small family shop has grown to employ hundreds of employees. Webster Industries Inc.; Tiffin, Ohio; Square footage: 380,000; The company was originally founded in Chicago in 1879 by Towner K. Webster. He invented the "common sense" elevator bucket that increased farm efficiency and production. The company later moved to Ohio and became a leader among conveyor chain manufacturers. The elevator bucket remains in the company's product catalog more than 140 years later. Rexnord Industrial & Chain Conveyor Div. ; Milwaukee, Wisconsin; Square footage: 370,000; The company has been manufacturing products in America for 125 years. While headquartered in Milwaukee, Wisconsin, Rexnord has manufacturing, warehouse and repair facilities on six continents. Intelligrated Inc.; Mason, Ohio; Square footage: 350,000; Now known as Honeywell Intelligrated, the company provides solutions that give businesses a "competitive edge and optimize operational performance through increased flexibility, efficiency and accuracy." Habasit America Inc.; Suwanee, Georgia; Square footage: 350,000; In an effort to contribute to the preservation of the environment, the company makes a commitment through The Habasit Green Concept to "dedicate resources to environmentally centered objectives that lead to increasingly eco-friendly products, production processes and operations." Webb-Stiles of Alabama; Gadsden, Alabama; Square footage: 290,000; In addition to the Alabama location, Webb-Stiles Company has offices in Valley City, Ohio and Atlanta, Georgia. In its large Alabama space, it maintains a large inventory of material and components needed to manufacture products. BEUMER Corporation; Somerset, New Jersey; Number of employees: 300; The company website highlights a number of employees and their roles in the business. BEUMER notes, "Each employee is important to the company, whether he or she is an apprentice, graduate, professional or manager." FMH Conveyors LLC; Jonesboro, Arkansas; Number of employees: 200; Formerly known as Flexible Material Handling and Best Conveyors, FMH Conveyors came together in 2015. It is a global manufacturer of flexible, rigid and telescopic conveyors for the material handling industry. PRAB Inc.; Kalamazoo, Michigan; Number of employees: 200; In the About Us section of the company website, it says: "We sleep well at night." Because, it is explained, the company does "the right thing to the best of our ability." It adds: "We treat our customers, representatives, employees and suppliers fairly and honestly, always maintaining the highest level of integrity." Central Conveyor Co.; Wixom, Michigan; Number of employees: 110; The company's Facebook page states that visitors immediately notice the company culture wherein employees treat each other like family. Annual events such as picnics, chili cook-offs and Christmas celebrations also help the community, with thousands of dollars and gifts donated to local charities. "Philanthropy is not only an ideal for us but a habit that continues even after the season of giving." Systec Conveyors; Indianapolis, Indiana; Number of employees: 75; Founded 25 years ago, Systec Conveyors was the first to introduce the plastic belt conveyor to the corrugated industry. FATA Automation Inc.; Auburn Hills, Michigan; Number of employees: 75; For more than 70 years, FATA Automation's systems have been used in companies worldwide in a number of different industries, including heavy equipment, pharmaceutical, marine, food and more. Intralox LLC; Savage, Maryland; Number of employees: 70; The company's simple-to-use online Belt Identifier Tool helps customers quickly identify the belt series and style they have. Baldwin Supply Co.; Minneapolis, Minnesota; Number of employees: 70; Founded 95 years ago in a one-room storefront, Baldwin Supply says it is "not out to reinvent the wheel - or the conveyor belt. We just want to continue to do what we do best: provide our services to our customers so that they can succeed in doing what they do best." Industrial Service & Installation Inc.; York, Pennsylvania; Number of employees: 70; Founded in 1988, every member of the senior management team has more than 20 years supervising and coordinating turn-key installations of production and process equipment. Regardless of the size of a contract, all are treated with the same high level of detail and professionalism. IndustryNet is a one-stop resource for all of your industrial supply needs, providing information on 400,000 U.S. manufacturers as well as suppliers of 10,000+ industrial products and services. To connect with a conveyor manufacturing company near you, start your free search on IndustryNet. Here you can request a quote, contact a company directly, connect on social media, obtain a list of industrial suppliers in your area and more. Related Companies: Baldwin Supply Co., BEUMER Corporation, Central Conveyor Co., Dematic Corp., Dorner, ERIKS North America, Inc., FATA Automation, Inc., FMH Conveyors LLC, Habasit America, Inc., Industrial Service & Installation, Inc., Intelligrated, Inc., Intelligrated, Inc., Intralox, LLC, Komatsu America Corp., PPM Technologies, LLC, PRAB, Inc., Rexnord Indusutrial & Chain Conveyor Div., Roach Conveyors, Superior Industries, Inc., Systec Conveyors, Webb-Stiles Of Alabama, Webster Industries, Inc.